With service from our dependable team, you’ll be cool all summer long. Don’t hesitate to call us for all your A/C services, repairs, and installations! There is nothing quite like being indoors while the snow piles outside when you have a reliable heating system. Call us today to get yours repaired or replaced, or for regular maintenance! Ensure that the whole family gets a hot shower with our expertise in geothermal and solar water heating. Call us today for more info on these efficient and environmentally safe solutions! If you have any questions regarding your home’s safety, efficiency, or comfort, we’re your go-to team. Give us a call at (518) 482-8288 to leave a message and an expert will be right with you. Providing a wide range of professional services, Northeast Heating, Cooling & Refrigeration is your source for affordable, reliable, and long-term solutions to residential heating, cooling, water heating, and refrigeration in Albany and the surrounding region. Established in 1984, we’ve built our business on a commitment to customer service, and stand behind our work with 100% Satisfaction Guaranteed. Our experienced team of technicians take a personalized approach, targeting your specific requirements, and never sell you something you don’t need. 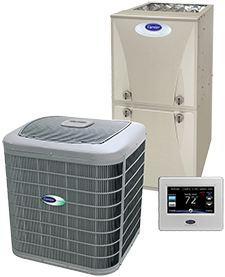 Call Northeast Heating, Cooling & Refrigeration for all your HVAC, water heating & refrigeration needs! Northeast Heating, Cooling & Refrigeration focuses on giving our residential and commercial customers the best return for their investment. By combining proven products with superior job performance, we deliver high-efficiency, cost-effective results you can trust to meet your highest expectations. Specializing in installation, regular maintenance, and repair, we handle every job with attention to detail, minimizing disruption, ensuring quick turnaround, and answering your long range goals. Contact us at (518) 482-8288 for further information and convenient scheduling, and let us customize our services to suit. Northeast Heating, Cooling & Refrigeration offers prompt, expert assistance across Colonie, Latham, Loudonville, Guilderland, Westmere & Delmar, NY.